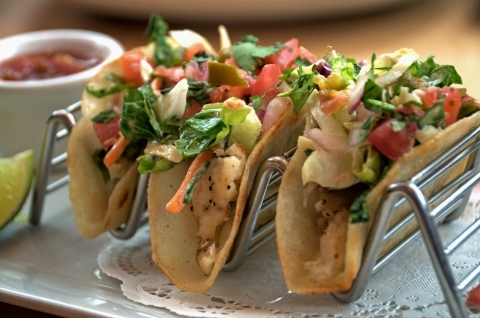 Do you think you’re branching out when you get the fish tacos at a Mexican restaurant? Or the carne asada at your local taco truck? Do you get excited when your tongue rolls those Rs and you can taste the delicious juices before you even pick up the warm tortilla? We’ve definitely been there too, but if you haven’t ventured far from Santa Fe, there is a world of tacos out there yet to be explored. Not everyone can make it down to Nuevo León, Mexico, so Tortilla Flats is here to tell you about these beautiful tacos. Wake up your taste buds and get ready to discover tacos that you won’t find in the U.S. If you’re still trying to fit in your leafy green quota for the day, you need to get your hands on these vegetarian tacos from the Central Mexico region. Quelites are leafy vegetables like spinach or amaranth. They are cooked with other vegetables and are piled onto a warm tortilla and served hot. 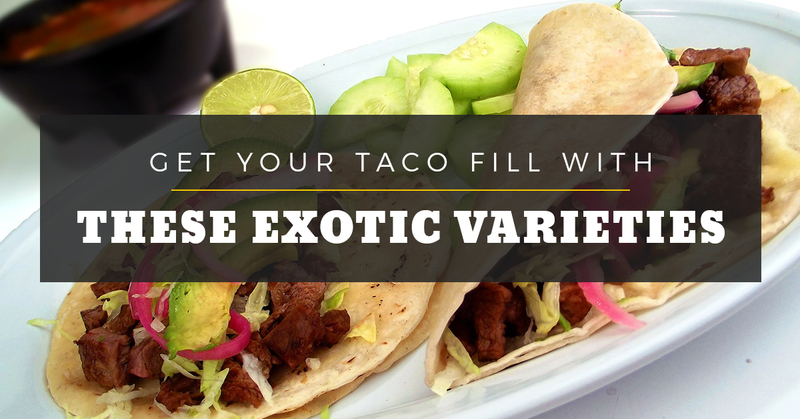 Get creamy flavors on your taco without having to add cheese like many Mexican restaurants do in Santa Fe. Now you’re really branching out. Head straight south from San Antonio, cross the border, and you’ll run into Nuevo León, where they are known for their steak. Bone marrow tastes a bit like butter and beef and with plenty of other subtle flavors that add a simple but powerful taste to the dish. This taco needs a really great tortilla which usually has some extra butter spread onto it. Casserole in Spanish, cazuela tacos, which look more like burritos, are filled with refried black beans, avocado sauce, salsa, and your choice of higaditos (little livers), chicharron (pork rind) or tinga de pollo (chicken with red sauce). The city of Oaxaca, which is south of Mexico City, may not be known for their tacos, but these large corn tortilla tacos filled with immense spices and flavors will soon be a favorite. You will definitely find some mouth-watering quesadillas and burritos in Chihuahua, Mexico, but don’t stop there until you have ordered up a rich montado. Made with a flour tortilla, filled with melted Chihuahua cheese, a chilaca pepper, and add in your favorite guisado (stew) like beef or chicken with a red or green salsa. Get flavors that you’ve never experienced before with this burrito-like taco. The tacos you find on the coast of California, or anywhere in the U.S., definitely don’t compare to what you can find south of the border. Try shrimp tacos in San Juan, manta ray tacos in Sonora, spicy shrimp in Tijuana, tuna-fin tacos in Sinaloa, or freshwater gar tacos in Tabasco. 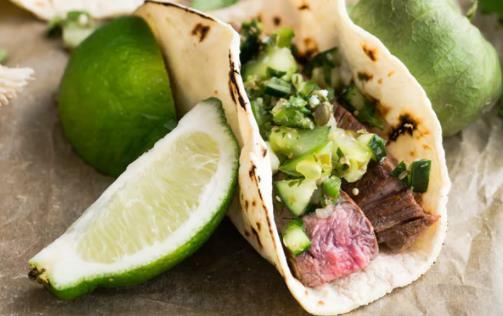 These tacos are far from the fried mahi-mahi or catfish commonly found at local Mexican restaurants in the U.S.
You may be itching to pack your bags and make a trip to any of these taco filled cities of Mexico. But if you can’t make it that far, Tortilla Flats in Santa Fe will not disappoint when you need to fill a taco craving. For authentic New Mexican flavors, come visit our Mexican restaurant tonight.